I’ve been out of the loop for a bit handling some personal matters and now that they seem to be under wraps again, its time to resurrect the Spring River Current. That being said I can’t do it without your help. We all know there are tons of happenings in our communities that no one gets the word out about. So here’s your chance, email me using the link below or call me at 620-674-1516 or 620-429-1449. 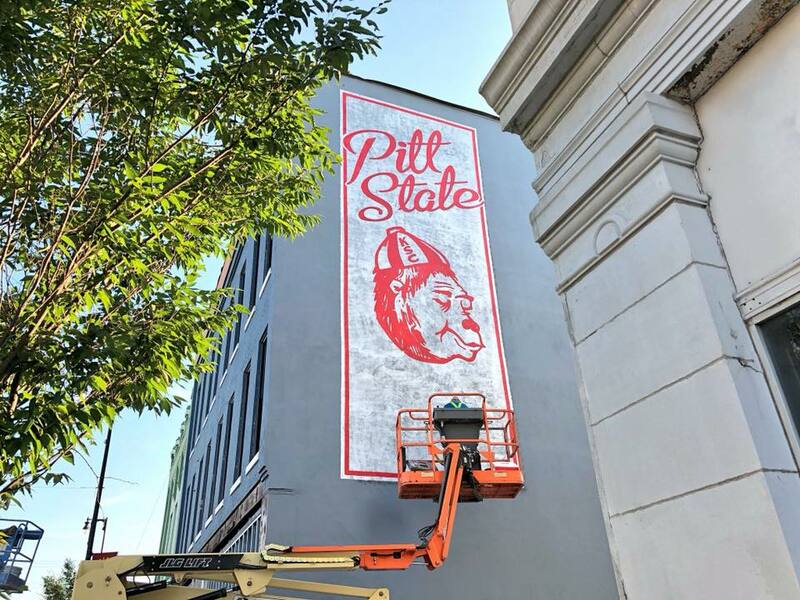 Springfield-based artist John Short works on a mural on the side of the former Opera House Hotel, one of four historic buildings that make up the Block22 project in Downtown Pittsburg. PITTSBURG – Block22, an innovative, collaborative project between Pittsburg State University, the City of Pittsburg, and Vecino Group, has been recognized as one of the top university-based projects in the United States. Located in Downtown Pittsburg, Block22 recently was selected as a finalist for the 2018 Award of Excellence by the University Economic Development Association following an extremely close competition this year. Established in 1976 and based in Pittsburgh, Pennsylvania, the UEDA is the cornerstone membership organization representing higher education, private sector, and community economic development stakeholders. For the annual competition, higher education institutions and organizations across North America submit nominations for innovative programs that focus on developing economic prosperity in their communities and beyond. A panel of university and economic development professionals chose 24 finalists from the group of nominated projects, with Block22 being one. The UEDA promotes the award as a way to validate and promote such programs, and to encourage their adoption by other institutions and communities. Program categories include: Innovation, Talent, and Place, as well as the intersections of these three categories. Block22, which is located at Fourth and Broadway, is a finalist in the Place + Innovation category, along with the University of West Florida for its Sustainable Economic Development Initiative, the University of Iowa for Iowa City Area Development Group, and the University of Central Florida for its Economic Diversity and Inclusivity project. Finalists will be judged at the annual UEDA Summit in Milwaukee, Wisc., in October. PSU Chief Strategic Officer Shawn Naccarato said it is validating and rewarding for the project to be recognized at the national level. Julie Potter, chair of the awards committee, said this year’s submissions showcase the value higher education provides to impact sustainable regional development. “It’s energizing to see so many diverse and successful programs benefiting communities around the country,” she said. Being a finalist likely will give Pittsburg State more exposure to others seeking to implement similar initiatives, Potter said. “It is through participation in UEDA’s Awards of Excellence Program that the success of these initiatives can be given a platform to share their successes and inspire others to apply these best practices in other locations,” she said. In fact, Iola-based Thrive Allen County has looked to Block22 in recent weeks for inspiration for their downtown revitalization efforts. COLUMBUS – A 25 year-old Columbus woman has been arrested following a lengthy investigation by detectives with the Cherokee County Sheriff’s Office. The investigation began in March, when two children under the age of 5, were found to have been victims of physical abuse to the extent one of them was transported and treated at Children’s Mercy Hospital in Kansas City. “Child abuse investigations can be complex and disheartening,” stated Cherokee County Sheriff David Groves. “I’m appreciative of the hours of hard work put into this case by the investigators and also the ongoing collaboration with the County Attorney and medical professionals involved, so that now, the suspect is incarcerated and will have to answer for the allegations against her,” concluded Sheriff Groves. 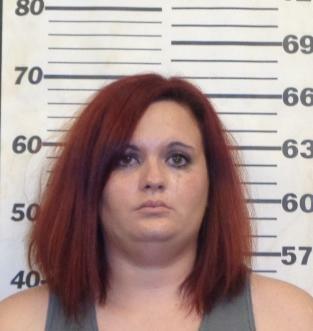 Samantha Weaver was arrested last Friday on charges of child abuse and child endangerment. Shawn Naccarato, chief strategy officer at Pittsburg State University, has been appointed to the board of directors for Delta Dental of Kansas by Gov. Jeff Colyer. His four-year term on the 10-member board four-year term began July 1. Delta Dental of Kansas is the largest provider of group dental benefits in Kansas, and it is the chosen provider for the State of Kansas Employee Health Plan. As Pittsburg State University is a state agency, PSU employees are covered by the SEHP and currently receive dental coverage through Delta Dental of Kansas. Naccarato said he’s proud to represent Pittsburg State and all of Southeast Kansas on the DDKS board of directors. Gov. Colyer said Naccarato’s strengths in leadership and collaboration will serve the board and all Kansans well. The DDKS Board of Directors meets on a quarterly basis. Delta Dental of Kansas is based in Wichita. For more information about Delta Dental of Kansas, visit http://www.deltadentalks.com. For each of the 1,100 students who live on campus and the several hundred who stay on campus for summer camps, a residence hall is their home away from home. 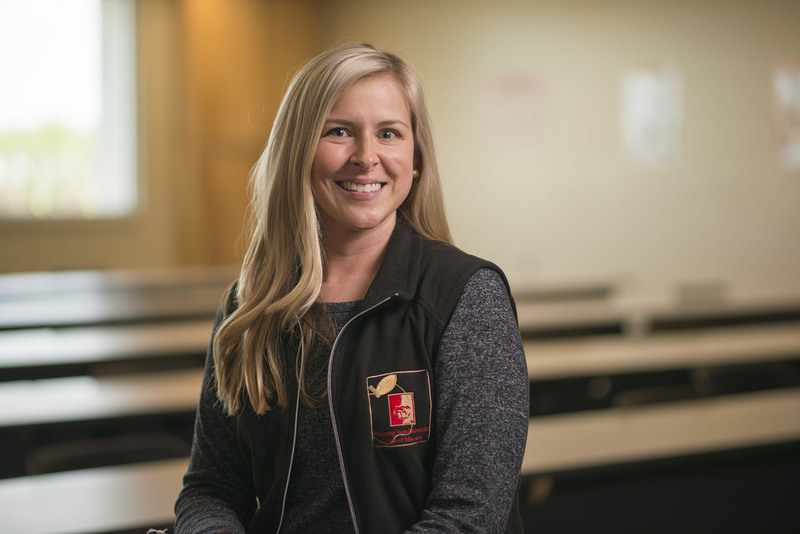 Tasked with ensuring they are safe, happy, and have a positive experience is recently hired Assistant Director of University Housing Allison Ouellette — a face new to campus but someone who has long heard about all that Pittsburg State has to offer. Ouellette is once again supervising students who oversee the daily functions of residence halls — this time on a much larger campus. She oversees the area coordinators, who in turn ensure the 44 RAs, three assistant residence hall directors, and two apartment managers have the resources and training they need to be effective. Ouellette’s job includes training RAs in possible scenarios involving resident students and the things they might experience while living on campus, and appropriate ways to respond. And, she’ll focus on helping RAs with programming for resident students that touches on health and wellness, social life, academic success, and special events. The City of Quapaw wants to help residents advertise their yard sales. 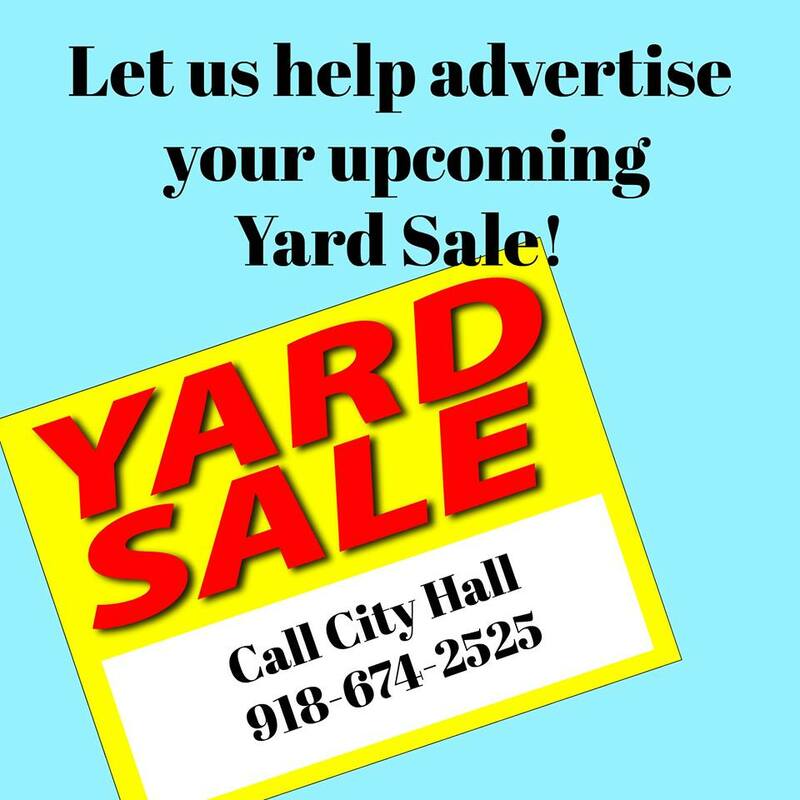 Call City Hall to get your sale listed. Please note this service is only available to residents of Quapaw. 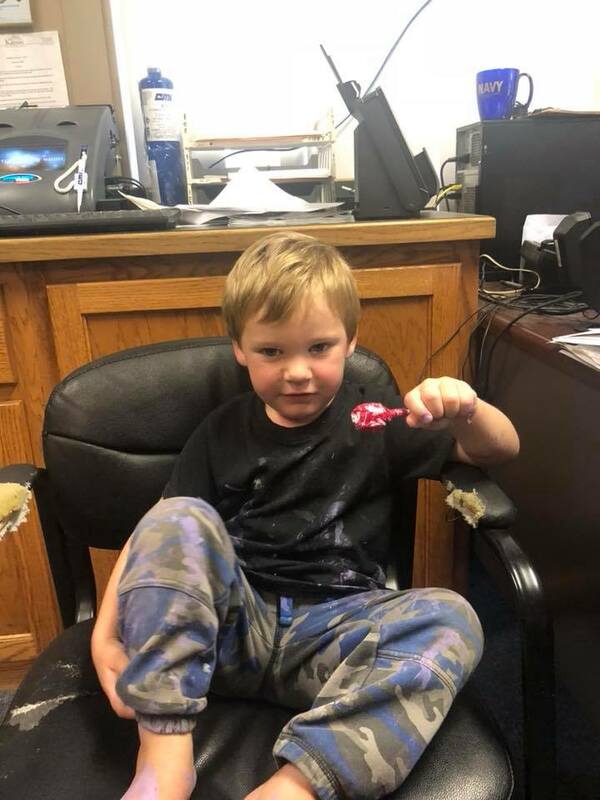 Baxter Springs officials were busy locating this youngsters parents on Thursday. At the time of posting this they had been located and he was returned home. “**** UPDATE**** His parents have been located! Thank you for your help! The police department has located this little guy. If you know where he belongs please get a hold of the Police Department at 856-2112. This post was intended to help locate the child’s parents, In a little over an hour it had 6,000 views, and his parents were found. You guys are amazing thank you for help. It was not intended to belittle or call into question parenting. Please refrain from negative comments, that are not helpful. Cherokee County Health Department holds Lactation Station at County Fair for breastfeeding mothers. 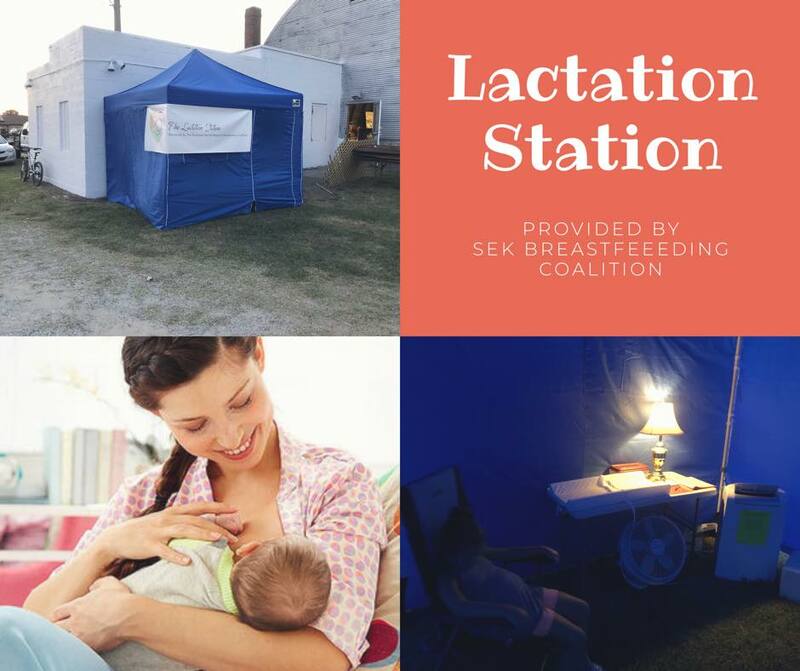 If you need a place to nurse or change your baby during the Cherokee County Fair this week stop by the Lactation Station provided by SEK Breastfeeding Coalition. The Health Department stated on their facebook page that they will be having a Breastfeeding Support Group on the first Friday of the Month at 10:00 am at their office in Columbus at 110 E. Walnut Street. Water is a precious resource. Water quality and quantity has been a major issue this summer. The lack of rainfall has caused most of the ponds to fall well below their normal water levels. The buildup of sediments and nutrients in the water can lead to weed and algae issues. Without clean fresh water, the health of livestock and fish populations becomes a concern. Maintaining a healthy pond can be a challenge. Therefore, Cherokee County K-State Research and Extension is pleased to have Charlie Lee, K-State Wildlife Specialist, as the featured speaker for a Pond Management Workshop. Charlie will focus on identifying the different algae, submerged and floating plants found in a pond and the control measures for each. Questions are welcomed during the workshop. The workshop is sponsored by H & R Block of Columbus and will be held Thursday August 9 at the Cherokee County 4-H Building located at 124 W. Country Rd in Columbus, KS beginning at 6:00pm. For any questions concerning the workshop, please contact the Cherokee County Extension Office at 620-429-3849. Kansas State University is committed to making its services, activities and programs accessible to all participants. If you have special requirements due to a physical, vision, or hearing disability, contact Dale Helwig, Cherokee County Extension, 124 W. Country Rd, Columbus, KS 66725, phone 620-429-3849 or email dhelwig@ksu.edu. Pittsburg, KS – Long before Pinterest, the internet, and cable television, and well before attending public universities was mainstream, there were Little Blue Books. Starting in March 1919, they were sold by the millions out of tiny Girard, Kansas, (population 2,446 at the time, and not much bigger today), and provided readers across the nation with information, entertainment, and topics of discussion. Axe Library at Pittsburg State University will observe the 100th anniversary of the pocket-sized books in March 2019 with a two-day commemoration featuring speakers and sessions, and to prepare, is seeking proposals for papers and presentations. The deadline is Sept. 21. It was a newspaper publisher named Emanuel Haldeman-Julius who started publishing Little Blue Books. Extremely popular in their day and quite ubiquitous, they were found in waiting rooms, bus and train depots, homes, and a variety of other places. Eventually, they gained worldwide popularity, with Arctic explorers and kings taking them on their journeys. “His goal was to bring education and good literature to the working class. For a nickel, just about anybody could afford these,” said Steve Cox, curator of Special Collections and University Archivist at Axe Library. Special Collections holds a near-complete run of the Little Blue Books, as well as Haldeman-Julius’s personal and professional papers. Over a span of 30 years, Haldeman-Julius would publish and sell more than 500 million of the books with more than 2,000 different titles and subjects. He advertised them as a “University in Print,” as he included many academic subjects. His death in 1951 ended his publishing empire and as decades passed he became less well-known and remembered. Individual papers should be 25 to 30 minutes in presentation length. Send proposals of no more than 250 words for individual papers and panel sessions, plus a one-page CV as a Word or PDF attachment, to Cox at spcox@pittstate.edu, by Sept. 21. Axe Library on the Campus of Pittsburg State University will hold the 100-year commemoration for Little Blue Books. Just before 4:30 pm on Wednesday, July 25th, Cherokee County Sheriff’s Deputies responded to a report of a suspicious person approaching an unoccupied residence north of Riverton. 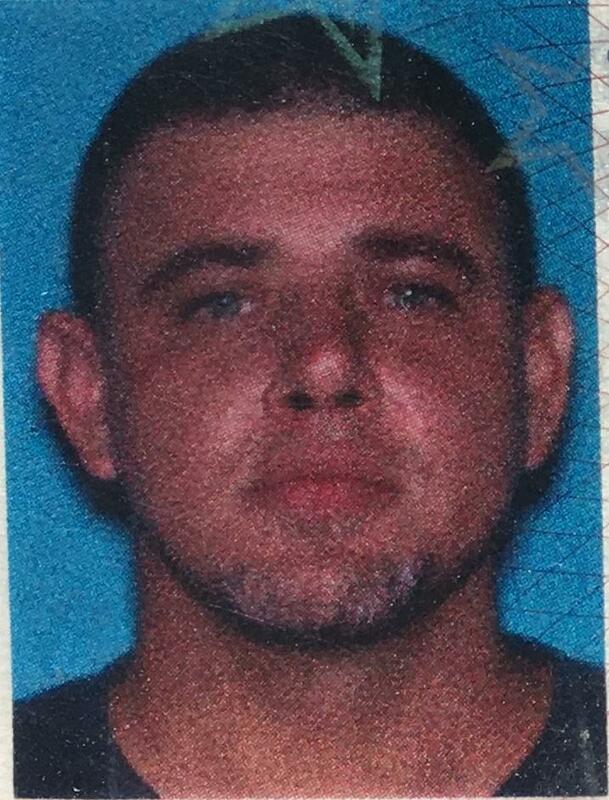 Upon their arrival, deputies discovered the back door had been kicked in and while clearing the home, they found 40-year-old James Dowell, of Seneca Missouri, inside. Dowell was arrested and transported to the Cherokee County Jail on allegations of Burglary and Criminal Damage to Property. His bond is currently set at $6,000.00. “In this case, deputies were able to quickly respond and apprehend the suspect before he could steal anything and leave the scene,” stated Cherokee County Sheriff David Groves. “We always encourage citizens to contact our office, or their local police department, if they see something suspicious and this is just another example of how vigilant neighbors who promptly report that suspicious activity can assist us with holding criminals accountable,” concluded Sheriff Groves. Two additional suspects have been arrested as part of an ongoing investigation into the assault of a man on Monday afternoon north of Galena. Robert Link, 47 of Chetopa, was taken into custody early Wednesday evening after investigators with the Cherokee County Sheriff’s Office and Kansas Bureau of Investigation sought a warrant for his arrest. He is currently being held in the Cherokee County Jail in lieu of $35,000.00 bond having been charged with Aggravated Battery. 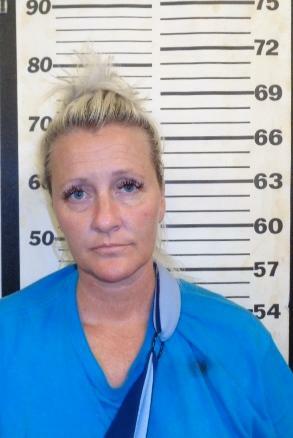 Also arrested on Wednesday evening was Crystal Bilke, 44, of Galena. Bilke has been charged with Battery, Possession of Marijuana, Possession of Drug Paraphernalia and Felony Interference with Law Enforcement. She was released after posting $3,000.00 bond. The arrests stem from an armed assault on Dustin Baker, which led to his hospitalization for non-life-threatening injuries. 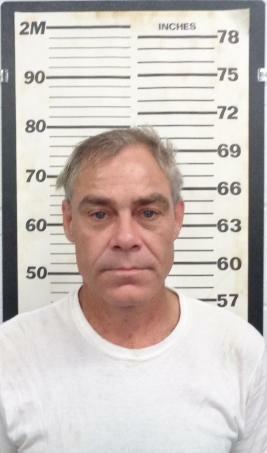 Tim Green, 41, of Galena, was arrested on Monday night and formally charged on Wednesday. He remains in the Cherokee County Jail on $40,000.00 bond, facing charges of Aggravated Battery with a Deadly Weapon, Criminal Possession of a Firearm, Criminal Use of a Firearm, Possession of Marijuana and Possession of Drug Paraphernalia. Galena – Just before 8:00 p.m., on Tuesday, July 24th, firefighters responded to an area south of Columbus where hay bales were burning. Cherokee County Sheriff Deputies also responded to the scene where, in addition to the 68 bales of burning hay, it was discovered an unoccupied home had been burglarized and damaged. As the result of a criminal investigation, at approximately 3:30 a.m. on Wednesday morning, deputies located and arrested 41-year-old Brian Wells, of Galena. Wells is being held in the Cherokee County Jail on allegations of Arson, Burglary, Criminal Damage to Property, Possession of Marijuana and Possession of Drug Paraphernalia. His bond is currently set at $15,000.00. 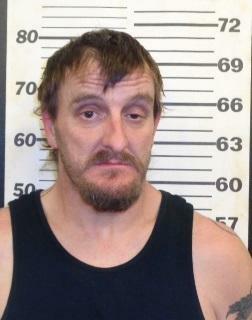 A second suspect, 38-year-old Ronny Piercefield, also of Galena, was arrested early Wednesday afternoon. Piercefield is being held on allegations of Arson, Burglary and Criminal Damage to Property. His bond is currently set at $11,000.00. The Galena Police Department had previously arrested Piercefield in March 2018 on an arson related case. Sarah Ball, one of two instructors to teach a new degree emphasis, led a workshop this week for about 50 professionals in hospitality and event related careers from across the Four State Area. The workshop was a precede to the emphasis, which may be taken for credit or a certificate and is in response to a growing industry. There’s a growing industry in the Four State Area, and Pittsburg State ‘s Department of Health, Human Performance, and Recreation responded: it now offers a bachelor’s degree in Recreation Services, Sports, and Hospitality Management with an emphasis in Hospitality Management. The new, nationally-accredited option will be available with the start of the Fall semester. Students completing the emphasis will be able to plan, execute, and evaluate events and meetings as well as begin the management track in casinos, resorts, spas, and other related travel and tourism enterprises. A minor and internship are also required. The program also is open to professionals seeking to earn a certificate in hospitality management to gain skills and understanding or further their career. A recent Pittsburg Micropolitan Economic Report shows that the hospitality industry is one of the fastest growing in the region; in 2017, local lodging revenue, room sales, and related jobs have seen a 25.3 percent increase over 2016. Ball, an assistant professor, holds a bachelor’s degree in exercise science and a master’s degree in parks and recreation management. 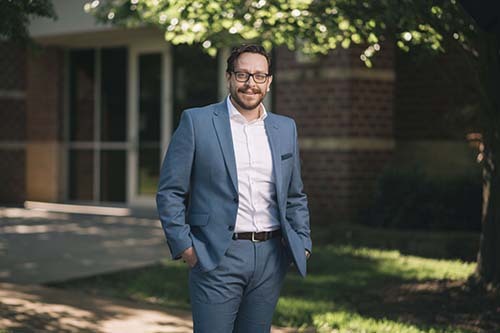 Hardy, also an assistant professor, holds a master’s and a doctorate’s degree in parks, recreation and tourism management, and a master’s degree in communication and advertising. Together they’ll teach courses such as REC 406: Resort, Spa, and Lodging Operations and REC 410: Tourism Planning and Development. As a precede to the new program, about 50 area professionals gathered at Pittsburg State this week for the first Event Planning and Management Workshop, led by Ball. Activities demonstrated best practices and resources in the field, with event professionals from Joplin, Overland Park, Kansas Crossing Casino, and Pittsburg Parks & Recreation sharing expertise. Chris Wilson, who recently joined the Crawford County Convention & Visitors Bureau as a tourism marketing assistant, has a background in news and publicity. His agency is tasked with getting visitors to Crawford County and ensuring their experience is a positive one, so he wanted to learn more about the event management and coordination side of the business. Jenna Spencer, who helps coordinate events at Memorial Auditorium & Convention Center that range from wedding receptions to art exhibits to boat shows, also was among attendees. Learn more about the Recreation Services, Sports, and Hospitality Management degree and emphasis choices at https://www.pittstate.edu/education/hhpr/undergraduate. Galena, KS – A Galena man is being held in the Cherokee County Jail following a Monday afternoon altercation, resulting in the hospitalization of 37-year-old Dustin Baker, also of Galena. Just prior to 2:30 p.m. on Monday, July 23rd, the Cherokee County Sheriff’s Office was contacted by the staff at a Joplin, Missouri Hospital, who reported Baker had arrived by private vehicle to be treated for a gunshot wound. During the course of the investigation, detectives executed a search warrant on the home and vehicle of 41-year-old Tim Andrew Green. Green was arrested and is currently being held in the Cherokee County Jail in lieu of $21,500.00 bond on allegations of Aggravated Battery with a Deadly Weapon, Criminal Possession of a Firearm, Criminal Use of a Weapon, Possession of Marijuana and Possession of Drug Paraphernalia. Baker is still hospitalized and is being treated for non-life-threatening injuries. The investigation remains ongoing and additional arrests are anticipated. Pittsburg, KS – While audiences who attend events and performances at the Bicknell Family Center for the Arts are focused on the entertainment, students who are working behind the scenes are focused on something very different: preparing for their careers. Some oversee the technical components of a production, while others livestream concerts via broadcasting equipment. Still others assist with event planning. Among them is Shawna Witherspoon, an art student from Riverton, Kansas, who is employed as an assistant at the Bicknell Center. After spending the past eight months examining, researching, curating, measuring, and preparing, this week she’s putting the finishing touches on an exhibit in the Gallery. When it opens Aug. 1, it will represent a milestone for Pittsburg State. Entitled, “The Vault: Unlocked,” it features works from Special Collections and the University Archives that were preserved during the university’s 115-year history. Many of the pieces were created by alumni, faculty, local artists, or were purchased by individuals and donated to the university, Witherspoon said. She began the exhibit with research, making copious notes, digging into historical documents to find answers to her questions, occasionally tracking down artists if they still were living. Witherspoon relied on the expertise of Randy Roberts, now the dean of Axe Library and for many years the curator of Special Collections and the University Archivist, as well as Steve Cox, who a few years ago assumed that role. She was assisted by Janette Mauk, senior administrative specialist in Special Collections, Jamie Oliver, chair of the Art Department, Alex Wiedemann, event manager at the Bicknell Center, and Firman. She then created a PowerPoint of her favorites and went through it with Firman and Weideman to narrow them. This is the third year in a row a unique exhibit will be displayed in the Gallery. Previous years saw an exhibit showcasing the work of longtime university photographer Malcolm Turner, and an exhibit showcasing the work of photography students in Graphics & Imaging Technologies. Witherspoon, an incoming junior, is working toward a bachelor’s degree in fine arts, and through the project learned she loves the curation and gallery side of art. A reception is planned for 6 to 7:30 p.m. on Aug. 23, and Witherspoon is sending invitations to the artists who are still living. The public is invited. The exhibit will remain in place throughout the school year. Parsons, KS – The board of directors of the Great Plains Development Authority met in a special session this morning to accept the June 30, 2018 letter of resignation from CEO Daniel Mann, effective July 31, 2018. The board delayed taking action until now in order to resolve issues related to Mann’s employment agreement. Increased non-grant revenues by 32 percent, while decreasing non-grant expenses by 43 percent. Mann thanked the Board for the opportunity to lead Great Plains over the past five years. “I could not have done it on my own. I’ve had a great team on site, and support from the Board of Directors and our local state elected officials. I still believe it was the right decision when local leadership stepped up and made the decision to take ownership and redevelop the former ammunition plant for the benefit of the entire County. I wish them nothing but success”, said Mann. “The GPDA board is currently working closely with the Labette County Commission to determine the best path forward for management of the project. We are very fortunate to have Tim Peoples, Becky Dantic, and the rest of the staff in place to help guide us through this transition”, said Wood.